Are you a collector? an artist in another medium? Or just plain curious? What is an etching? a block print? or lithograph? How are prints made? You will handle the materials, tools, and prints as we discuss the four basic methods of making prints and learn to identify one from another during this lively ‘show & tell’. A printmaker by training, prone to flights of installation and participatory art, my images tend more toward implication than the explicit.‘ Barbara Lee Furbush earned an MFA in Printmaking at California State University, Long Beach in 1985. She has exhibited regularly in Los Angeles, her works are found in collections in Washington DC, Los Angeles, and Monterey. Barbara opened the Atmos Press / Studio in 2012. 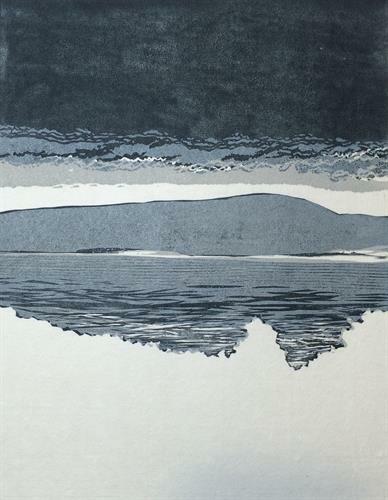 She is a member of the California Society of Printmakers and the MPC Printmakers.